Set sadrži : TISUN kolektor 2,55m2 , bojler 200lit BE200 , pumpnu grupu SFRE 25 Simplex , ekspanzionu posudu , BMV1 izmjenjivač , 11 lit koncentrata antifriza ili glikola. 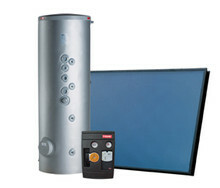 The SWS solar hot water set is the ideal ‘compact model’ for harnessing free solar energy for hot water production. Hot water is stored even when the sun doesn‘t shine. 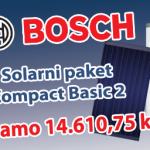 The complete set is supplied with the TiSUN FM module collector (vertical or horizontal), BE-SSP-2R (K) solar hot water tank and the TiSUN BMV service water mixer.